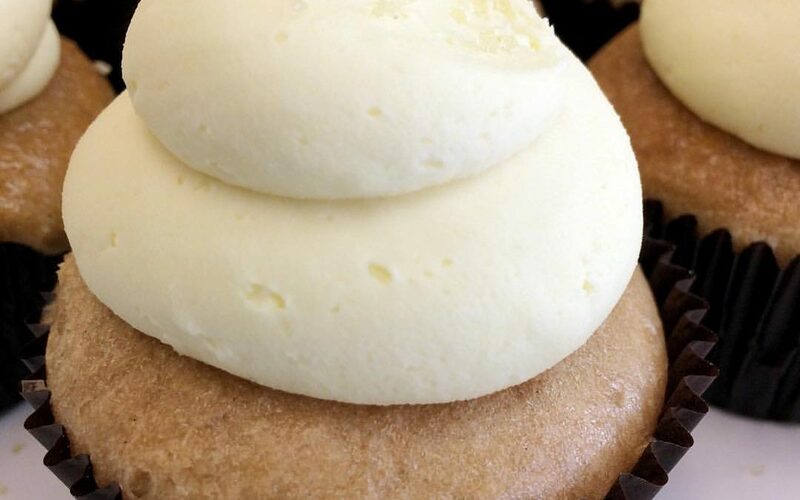 Here is our fabulous icing recipe we use for vanilla and chocolate cakes and cupcakes. This recipe is free from dairy and egg and makes enough to decorate 24 cupcakes or a two layer 8″ cake. Using a hand mixer with whisk attachments and a large bowl or stand mixer with whisk attachment, whip shortening , vanilla extract, and lemon juice until fully combined. Add icing sugar (and cocoa powder if making chocolate) to the bowl and mix on low. As sugar is being incorporated slowly increase mixing speed until you reach high. Stop the mixer and scrape the sides of the bowl and the bottom to ensure there is no icing sugar being missed. Mix on high until the icing is nice and fluffy. You can choose to add the optional water at this point if you feel the need to increase the fluffiness of the icing and decrease the stiffness of the icing. Mix in water starting on low and working your way to high speed.